← Cops As a Target? I know it’s been a good, long while since I’ve posted, and I apologize. I’ve been doing Nana-duty for two newborns, giving the kids some much deserved rest. Tonight, however, isn’t about me. It’s about a new non-profit organization that I am 100% behind and I want to let you all know about it. Stop horsing around and check this out. My sister-in-law, who is also one of my best friends, has started this non profit to benefit the wild horses and burros in the great US of A. For the first time ever, people all across the nation can now connect with others that share these same interests. Whether you’re a horse or burro owner, a group, a trainer, or an enthusiast who wants to keep abreast of the latest news, we hope you’ll stop by. If it’s assistance with gentling or training, planning workshops, or getting together with others in your area, this is the place. We publish news articles submitted by users, as well as government and private organizations; so you can always be abreast of what’s happening. Groups and organizations have their own page with links to their website; in addition to the site tools – calendars for scheduling events, mass mailing to members of your group, etc. Seasoned “Handlers” and “Trainers” have their own page and links to their website; in addition to the site tools – calendars for scheduling events, mass mailing to members of your group, etc. Every registered user can personalize their “space” with photos, videos, and documents, join groups, and have access to all the site tools mentioned. It is very simple to setup, but if you need some help, it can be accessed from the “Instructions” Menu. Everyone has access to the forum – whether it’s to assist others, ask for help, or voice your opinion. We’ve setup some startup categories but ready for as many as you need. Everyone can submit their own articles for inclusion in regional and sometimes national news. Library is the centralized hub for submissions of instructional materials – written or video – that can be accessed quickly. This will be very useful for people who find themselves in a “situation” and need help. The submissions in private user’s libraries (if made public) can be accessed as well. Many times there are no knowledgeable groups or people in their areas; so this will be the only way they have to find the assistance they need. Reminder: This site is “G” rated for individuals of allages. Submissions that are not, and ones that are not relevant to the site’s subject matter, will be rejected and possibly result in user being banned. The people (you) provide the information, and (we) make sure everything runs smoothly and ensure the site is moderated properly. What a great resource! We hope you’ll think so too!!! Even though we could utilize lots of advertising space in order to pay the expenses, we don’t think this should be the basis for revenue. We want the site to load cleanly and quickly, our host resources to be used solely for users to upload and download material, and making connections with others. It’s purpose is to educate and connect! So, If you’ve been looking for a worthy cause to contribute to – one that affects every wild horse and burro owner in the U.S., then look no further. Every penny supports the operation of this site. We are neutral and unbiased with no political or organizational ties. 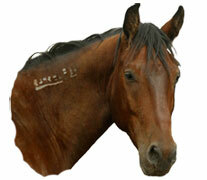 Wildhorseandburro.org is incorporated in Missouri as a nonprofit organization and 501(c)3 paperwork is being processed. Our corporate officers and administrative staff reside in both eastern and central U.S. It took an enterprising group of people, a great domain name, and the vision to see the future, to get this project off the ground. We hope you will want to be a part of this project. As a group of many, we can achieve great things! Wild horses have played an important part of our past, and should be an important part of our present and future. The roles they play in our lives, and the quality of their lives, rests solely on our shoulders. So. You see where she’s going with this. I have gone to Shackleford Banks in hopes of photographing the wild horses there (and it is still on my bucket list of things to capture), because they are so beautiful and it would be a disservice to them and all of the other wild horses out there that find their way into peoples’ hearts, but don’t get what they need simply due to ignorance. In advance? Please and thank you! This site goes live on Friday, September 18, 2015. If you’re not a horsey-person, perhaps you know of someone in your circle who is. Please share this with them. The organization will be accepting articles and pictures. There are forums and groups set up by state. This is going to be an incredibly interactive site.